Dr. Liu grew up in Beijing, China. Her family decided to move to Northern California when she was twelve years old. She completed her undergraduate degree at the University of California, San Diego and then attended the University of California, San Diego and SUNY College of Optometry. She specializes in Myopia Control and Orthokeratology, Vision Therapy, and Pediatric Optometry. Dr. Liu has been in practice for about five years, first in New York City with an opththalmology clinic and officially moved to San Diego in 2016. She has experience in treating people with diverse cultural backgrounds and a variety of eye diseases. In the bay area, she continues to treat both adults and children with emphasis on orthokeratology to control nearsightedness. Growing up, Dr. Liu was always interested in vision and how the eyes work. She remembers her little cousin who wore thick glasses that made his eyes huge and an eyepatch that made him look like a pirate. She says that since this encounter, she has been fascinated with the human eye. Dr. Liu relates, “As an optometrist, I strive to let every parent know the importance of a proper eye exam for their children so that amblyopia and strabismus can be detected before their critical age; and that eye movement, focusing and binocularity inefficiencies would not hinder their learning ability…” She continues, “…it is rewarding to make critical suggestions to parents about their child’s eyes as it relates to learning and behavior and how to keep a child’s eyes healthy and prescription at bay, in a world where so much is takes place indoors and in front of a computer.” It is in this vein and distinct interest that Dr. Liu’s specializes in Pediatric Vision and Vision Therapy. 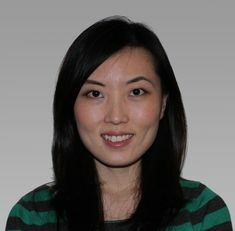 Dr. Liu speaks Chinese fluently and when she is not working, she enjoys spending time with her son and daughter that always keep her on her toes!